The most important thing to remember when reviewing a book is that there is no right or wrong way to do it. Sure, if you are a trusted authority providing highly detailed literary criticism for a major publication, you may want some degree of relevant training. However, most people are far more interested in a reviewer’s thoughts – presented in their own unique voice and style. The way you do this is up to you! If you want to delve deeply into every conceivable aspect of a book with a tightly controlled format – do that! If you prefer to be more conversational and informal – that’s great! Even if you simply want to divide your opinion into small soundbites of information – you’ll have an audience for that too. The key to it all, is to simply enjoy reading, enjoy reviewing and enjoy the amazing conversations that stem from it. This is what it’s all about. Yet if you’re starting out and just want a little bit of direction – we understand. Below, we have provided you with one possible sequence for a strong review. Feel free to follow it from beginning to end, use only one or two elements from it, or to disregard it entirely and do your own thing. Knowing why you’re writing a review can provide you with both direction and structure. Turning this purpose into a logical statement is a fairly easy way to ensure that you remain on track with your book review. It’s quite simple to do, and once complete, you should revisit it every now and then just to make sure that you haven’t taken your review in a direction that you never intended. This book review will inform (presentation style) parents of young children (target audience) about the entertainment value and appropriateness (foci) of The Grumpface (book). With this one purpose statement, you have defined how you will write (to inform, to entertain, to persuade, to instruct, or to inspire); who you are directing your writing to (be as specific as you can); why you are writing the review (a good way to determine your foci is to ask yourself ‘why should my target audience care about this review, or what value do they get out of it?’); and what you are writing about. If this procedure seems a little bit too formal for you, don’t stress. It isn’t mandatory and many reviewers can write great reviews without one. However, for some people it can be a nice help to have something that gives them a place to start, a direction to travel in, and some content to cover. There is a difference between a good story and a good book. One is dependent on the writer (which we will get to later), and the other is dependent on the publisher’s attention to detail. When we assess a book’s quality, we are essentially looking at the printing decisions made by a publisher. Therefore, in order to assess this properly, it can be helpful to understand many of the decisions available. 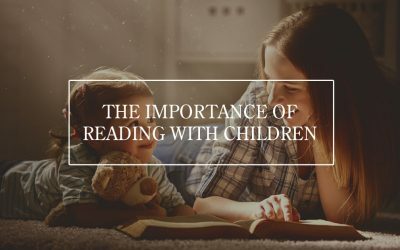 However there is one important thing to remember as we go through these options – you should only compare the quality of a book by its same type. It makes little sense to conclude that a particular hardcover book is more robust than a particular paperback. Instead, you should assess the quality of the paperback by its soft-covered peers. This relates to the dimensions of the book. Generally, the smaller the trim, the less it costs a publisher to print. However, a book’s dimensions can have an impact on the feel and enjoyment of a book. For instance, if a children’s picture book is 4” x 6”, but has highly detailed illustrations, it may not maximise a child’s enjoyment from it. On the other hand, if you receive an 8” x 10” romance novel, you might want to question the publisher’s choice. A book’s finish can be one of the first things that will alert you to its quality. There are a number of options here including no finish, varnish, lamination or cloth. If a book has no finish or is only coated in varnish (like the cover of a magazine), this may be a good indication that the quality of the book has been minimised for profit. One exception to this though is a book that has a cloth finish, but is wrapped in a varnish dust jacket. Lamination is perhaps the most common finish for a quality book. The options here are gloss or matte. Either option is appropriate and will generally be based on the desired look of a book. In addition to lamination, a publisher may want to add embellishments that can add significantly to the finish quality of the book. This includes, embossing, debossing, and spot-glossing. Finally, a book with a cloth finish can sit anywhere on the scale. A simple cloth finish can be less expensive than quality lamination, but higher quality cloth (such as faux leather, or even hide) can be very expensive particularly when combined with options such as embossing, debossing or foiling. Often books with these features will be limited editions. There are a number of additional options available to a publisher when considering a book’s finish, but this will not always be obvious (such as anti-scratch lamination or UV varnish). Unless, you want to focus your review entirely on the quality of a book, it probably won’t be necessary to go into this much detail. Quality binding makes an enormous difference to a book’s feel and longevity. There are many ways that a book can be bound, including traditional and modern hand methods (which simply aren’t viable for commercial purposes), right down to saddle stitching and punch-binding (which are quite cheap and will often be inappropriate for quality books). This leaves us with two main types of binding normally available to publishers. ‘Case Binding’ for hardcovers and ‘Perfect Binding’ for paperbacks. Unfortunately, just because a book uses one of these types of binding doesn’t automatically mean they have made a quality decision. Different printers have different standards and often the only way to measure the quality of the binding will be how it stands up to use over time. One quick method you can employ to determine the quality of a perfectly bound paperback, is to examine the spine where the pages meet the cover. If the pages are grouped in sections, this could indicate that they have been Smyth sewn before glued into the cover. This indicates high quality. However, if no distinct sections are discernible, a cheaper method may have been used. Similarly, a quick method to determine the quality of a case bound hardcover, is to check the endpapers. These are the sheets on the inside cover that are directly glued to the cover itself. If they are glued down well with no lifting, it could be an indication that the printer uses high quality glue and has the attention to detail to ensure that this aspect of the binding is done well. Generally speaking there are three important elements that determine the quality of the paper. Its weight, its colour and its coat. The weight of a page will determine how well it will stand up to use and often whether text from its opposite side will be seen coming through. However, publishers must also consider how thick a book will end up if heavier pages are used. Generally, 55lb is a good choice for paperbacks, 70lb for hardcovers and at least 100lb for children’s picture books. Colour will generally only apply to novels. Often white is fine, although some will argue that cream pages are generally the expected standard and are easier on the eyes when reading. Coating is something that will often apply to picture books (novels are generally not coated). Here matte or gloss are the options and either option is generally fine. The quality of the print can usually be determined by the sharpness of the text or pictures and the richness or depth of colour (where applicable). Generally the quality of the print is directly related to the quality of the printer themselves. However, there may be some latitude for choice made by the publisher. Some printers will divide their options into standard or premium. The simplest way to judge the quality of the print, is to place the book beside others in the same category (this generally works best if you compare a variety of publishers). If, for example the colours of a children’s picture book looks a little dull or washed out next to another, you may conclude that cheaper options for printing have been selected. When alignment is correct in a book, you won’t even notice it. However, if page numbers seem to sit too high, or text appears to be on a slight angle, this can indicate poor alignment. The responsibility for this failure will generally sit with the printer (poor quality); the publisher (not setting the book up correctly); or the interior designer (not formatting the book correctly). Either way, it may indicate a substandard attention to detail. This obviously only applies to digital versions of the book. Whereas the above aspects relate to printed copies, eBooks are still subject to quality control. Converting a book into an eBook format requires an understanding of digital production and design. Depending on the software used, text can be reproduced with spelling errors, images and headings can be out of line or associated with incorrect text, and ultimately the book may otherwise look like a very poor reflection of its physical counterpart. On top of this, it is useful to know that there are two layouts an eBook can come in (despite whether it is in a .mobi or .ePub format – the two most common formats for an e-reader). These are reflowable and fixed. A reflowable eBook is one that allows the text to be resized and works on a wide variety of devices (which can work great for books that are heavily text based). A fixed-layout requires more coding experience but ensures each individual page looks its best (which is great for books that require images and text to remain together, like children’s picture books). However the cost associated with creating a fixed layout for different sized devices can be quite high. Often, coding errors will be easily noticed. You may decide to assess the quality of an eBook simply by how often you notice an anomaly. One thing to note while you are conducting your assessment, is that defects aren’t always a reflection of quality. Sometimes even good printers can get things wrong on occasion. There is a substantial amount of technology and machinery involved in a book transaction. Some of the higher quality printers have more sophisticated quality-control measures, although no control measures are foolproof. By all means, feel free to comment on a defect (after all, if many reviewers are noticing the same thing, it may indicate that a publisher is using a substandard printing company), but understand that there is a difference between a book’s inherent quality and one that has been the victim of inadvertent cosmetic damage. Now, of course you don’t have to go into all of the listed elements of a book’s quality. You could always decide to simply comment on how a book feels and looks before moving on to the next step. We are now looking at the cover design – both front and back. The first and most obvious question to ask is: Does the cover appeal to me? A good cover design is both an art and a science – and every genre (and sub-genre) has its own look. – Is the title clearly legible? – Am I able to immediately identify who the author is? – Can I identify the genre or age category by its cover? – Does the cover convey a particular mood or ambiance I would expect to see with this genre? – Does the cover evoke a sense of curiosity within me to find out more? – Are the use of colours appropriate or are there some jarring contrasts? – Are the use of images simple and clear or is the cover too busy? – Is symmetry or asymmetry used effectively? – Does the title, author name and publisher’s details appear in a logical and simple format on the spine? – Are the details on the spine centred correctly? – Does the back cover look like an afterthought or is it cleverly incorporated into the overall design? – Is the blurb size and font appropriate? – Does the blurb grip me enough to want to read the book itself? – Does the back cover contain identifiers appropriate to a quality book (i.e. an EAN barcode and the publisher’s name)? At the end of the day, you may prefer to simply judge the cover instinctually. No doubt you can generally look at a book and decide whether you like the design in just a few seconds (after all, this is the most common way of doing it). It doesn’t matter if a book follows all the rules of design – if you don’t like it, you don’t like it. Similarly, a book might break all the rules and for some unknown reason – it works! Sometimes the simplest way of judging a cover is to give your opinion, give your reasons (if you can quantify them) and leave it at that. Don’t worry whether others agree or disagree with you. This is your review. Okay, we are now entering the realm of the illustrator, the editor and the interior designer. Let’s break our analysis into these three categories. All books have a voice. This is extremely important when it comes to illustrations (even if they are restricted to the headpiece). If a publisher uses illustrations, it must reinforce that voice and not work against it. For instance, light-hearted, silly, exaggerated or ‘scribble-based’ (aka Quentin Blake) illustrations might work in books that don’t take themselves too seriously. However this style of illustration may be incredibly jarring in an epic-fantasy striving for realism. In addition to this, children’s books (where illustrations can often be a crucial element) must reflect the central component of the text. For instance, if the text describes a turtle that visits an otter, an illustration that consists of just a turtle may not be sufficient in conveying the right meaning. Finally we get to the quality of the illustrations themselves. Here, artistic style shouldn’t simply represent the elements of the text, it should add something to it. Together, the image and the text should create a synergy. This can often only be achieved through illustrators that understand their craft, rather than writers looking to save money. Despite the fact that artwork is often relegated to the realm of subjectivity, there are still some ways that we can assess the qualities of illustrations within a book. – Clarity: Does the image wholly depict what is required without adding anything that confuses the meaning of the text? – Consistency: Does a character in one scene look the same in another? Is there harmony between images? – Composition: Are expressions or the mood set in an illustration the perfect embodiment of the story? Is there technique in the artwork? – Colouration: Have the right colours (or shading) been used to add more meaning to the illustration than it would otherwise be able to convey without it? – Communication: Are the images well suited for the intended audience? For instance, a deeply symbolic and detailed Rembrandt may reflect a storyline with true mastery, but would probably be completely inappropriate for a children’s picture book. There are a number of different editorial processes that should contribute to every book. The two that we are concerned with here relate to the work of a copyeditor and a proof-editor. Combined, they should ensure that words are spelled correctly (for the intended country), punctuation is in its proper place and sentence construction is built appropriately. If you are reviewing a large book, you may want to save this analysis for the time you read it. However if the book is small (like a children’s picture book), you may find it easier analyse the syntax at a time separate to your analysis of the story itself. There are many aspects to interior design – most of which won’t be noticed if performed correctly. From a review perspective, the three main things to look at will be the illustration placement, text placement and font selection. Unless the illustration goes right to the very edge of a page (known as full bleed), they should be placed in a way that appears natural, sequential to the story and aligns well with the associated text. In turn, text needs to be readable, thoughtfully placed and formatted consistently throughout the book. Finally, font selection should balance the author’s voice, with the style of illustration. Simple and readable is more often than not, the best choice, with only very subtle variances to pull it in a direction most appropriate for the book. Highly stylised font generally takes away far more than it adds. We finally arrive at the most exciting part of the review. 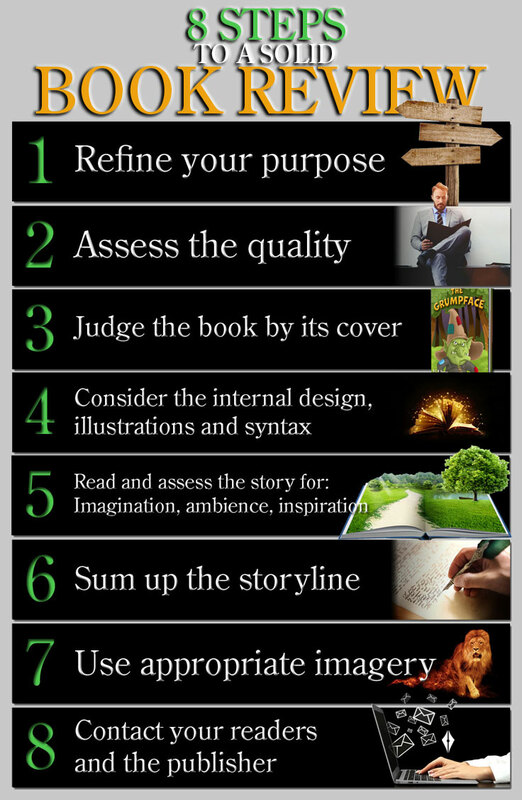 Reading and assessing the story itself will often be the largest part of any review. It’s really up to you how deep you want to go into this area. – Will you examine how believable and consistent the characters of a story are? – Will you delve into the appropriate pacing of a given storyline? – Will you measure the consistency of writing quality and scene description? – Will you comment on the cleverness of character dialogue? – Perhaps you simply want to make a broad observation on how a book has pulled you into the story? At TaleBlade Press, we restrict ourselves to three main categories that broadly touch on many of these themes, while highlighting the aspects we consider most important. These are: Imagination; Ambience; and Inspiration. We find the beauty of using these particular aspects, is that they can be utilised for virtually any genre or age group. Let’s look at these categories more closely. This aspect looks at the creativity of the story. – Does the plot of the story draw me in? – Do the subplots make sense? – Are the characters well thought out and generate believability and interest? – Is the world that the story is set, one that piques my interest? – Are the scenes well considered? – Do I understand the rules for the world the book is set in? All of these questions should reflect the creative processes of the author. The ambience of a story relates to how immersed I am in each moment of the story. If a character says or does something out of place with their personality, this disrupts the ambience. The same can be said for inappropriate pacing, unbelievable scenes or even poorly chosen words. Perhaps the most obvious aspect of ambience though relates to how well the author paints each moment. Is my heart beating as the protagonist is being chased by a villainous creature? Am I deeply looking forward to an inevitable confrontation between two characters of contrasting personalities? Do I find myself laughing or crying in moments of spectacular revelations? Am I smelling the food, hearing the storm and feeling the pain? A good writer can bring characters, scenes, plots, pacing and dialogue together with such genius, that even the most casual reader perusing the first few pages will suddenly find themselves engrossed in a story that they can’t tear themselves away from. – Does the book move me emotionally? – Does it alter my perception of life or motivate me to do something differently? – Do I lay in bed imagining the world carefully crafted by the author? – At the end of the day, does the book leave me with anything more than a temporary distraction? Generally a book that has no purpose, serves no purpose. Okay, so this is where you put pen to paper (or fingers to keyboard). This is where all your thoughts, observations and considerations coalesce into their very own gripping tale of one person’s adventure into the world of another. Where you lay bare your opinion to countless others who will all be subconsciously appraising your own appraisal. Intimidated? Not sure how to formulate something worthy of such critical acclaim? Well, firstly relax. 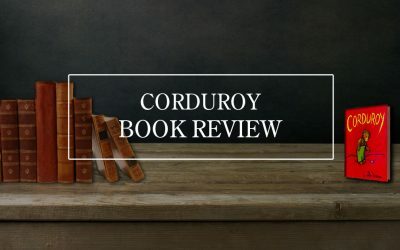 It may seem like a prerequisite for writing a book review is having some sort of literary qualification yourself – after all, aren’t you passing judgement on a professional writer? The reality is actually quite different. Most readers of any book review simply want to hear an honest opinion in a style that resonates with them. Let your own creativity flow without fear of judgement. In fact, if you plan on writing a substantial number of reviews, you will quickly burn yourself out if you try and write in a style that isn’t you. So have fun with it. See your review as a bit of a conversation starter rather than an essay. Begin your review with a single-sentence assessment of the book. Follow this with a short summery of the storyline (without spoilers of course). Now write some general observations about the book that would be helpful for readers to know. We call these neutral observations. The next section is where you can write about all the aspects of the book that had a dissonance with your expectations or review purpose. These are your negative observations. Of course, we now come to the section where you share aspects of the book that resonated with your expectations or review purpose. These are your positive observations. Now, you may want to switch your negative and positive sections around. It’s up to you. However, it is nice to end on a positive note rather than a negative one. Conclude your review by providing an overall assessment and perhaps a recommendation or rating if that’s your style. Of course, this formula is only a suggestion. Feel free to write using your own creative structure. Something that you definitely want to include in your review (although it doesn’t need to be in the write-up itself), is the International Standard Book Number (ISBN) and any attribution information (like the author’s name, illustrator’s name and publisher). This is important because a book can change printers, publishers, illustrators and more over time. This will affect the quality of the book and sometimes even complaints about the text may have been rectified in later versions. When you provide this information, you are connecting your review to this particular version of the book, and this version only. The right image placed in the right spot within a review can greatly enhance its impact. The obvious choice for a review picture would be the book cover or perhaps an example of an interior page. However an important consideration here is copyright. Most countries have their own copyright laws to protect creative works. However there are also a number of international treaties that protect the rights of those who produce things – including literary works and illustrations. This copyright is automatic and affords its creator protection from use or misuse by those that have not received authority to use it. However, there is still provision extended to people like book reviewers to use certain images under certain conditions. This provision is known as ‘Fair Use’, and may allow a reviewer to put an image on their website without obtaining permission from the copyright holder. There are a few things to remember though*. Some images are designed to be sold or licensed (such as those found on stock image services, art or professional photography). Unless appropriately purchased and used in accordance with the relevant stipulations, these images cannot be used. Images that are verifiably in the public domain are not usually subject to copyright and may be freely used. Why and how you are using the image. Whether you have altered the image in any way. Whether you are using the image too much or its prominence is disproportionate to your own content. Whether your use of the image has a harmful effect on the value of the image. It is generally not okay to hotlink an image to your website. This may not always be illegal but it is certainly bad form. If you wish to use an image you think may fall under the category of ‘Fair Use’, always consider letting the copyright owner know anyway. * Please note that TaleBlade Press is not purporting to provide you with legal advice in relation to copyright. If you are uncertain, you should always seek legal advice. You will probably want others to know about any new review you write. After all, reviews are often nothing more than a considered opinion on a topic that we wish to share with others. Writing a review isn’t where the fun ends, it’s where the conversation starts. – Organic exposure through the simple method of writing reviews on a regular basis. This type of exposure is often called content marketing. – Writing reviews or blogs for others. This can provide you with an ever expanding network of readers. – Commenting on other reviews or relevant blogs. When you write a review, you really want to start a discussion. Feel free to have these discussions on other reviewer’s websites as well. If you contribute positively, others will naturally gravitate to your own reviews. – Forge some strategic relationships with other reviewers. By involving yourself in a network or alliance, you can leverage each other’s expertise and share in their readership. – Consider advertising through a variety of methods. Some simple ways to gain exposure might be to advertise through a search engine, on social media or on a relevant website. You may also want to consider the traditional route through newspapers, magazines, radio or television. Of course, these methods will all involve cost – often quite substantial. – Build an electronic mailing list. By allowing people to subscribe to your reviews, they can be alerted to your new posts. This will help to build a steady group of people interested in your thoughts. – Use your social media channels. One way to have a conversation about a review in real-time is to alert people to your post via your social media channels. – Think about, but don’t dwell on Search Engine Optimisation (SEO). Understanding the basics of best practice can be helpful in the long run. It means that you give your reviews the best chance to be seen when someone is looking for content that you have so carefully developed. Just don’t spend too much time trying to go into every detail. It is a huge minefield of opinion, and the algorithms that dictate your website’s exposure to the world are constantly changing. Focus on being genuinely helpful to your readers and over time, SEO will take care of itself. – There are many other ways that you can give your reviews exposure, but they really start to move away from the idea of having an occasional sociable review, and into the realm of an aggressive business seeking to obtain a significant market share. In which case, your marketing strategy will be far more comprehensive than following a few friendly suggestions. One thing you should always consider though is reaching out to a book’s author or publisher. Let them know that you have reviewed their book and take the opportunity to ask their permission (even if you wish to frame it as a courtesy), for using any images of the book. Of course, if your review came about as a request by an agent, publicist, author or publisher, this should occur anyway. However there is no reason to refrain from contacting the author or publisher for a book you have reviewed under your own initiative. – Having your review mentioned through a respective website or social media channel. – Being asked to review additional books. – Being given relevant contact details for any future dealings. – Being provided with a beneficial attribution and image use policy. 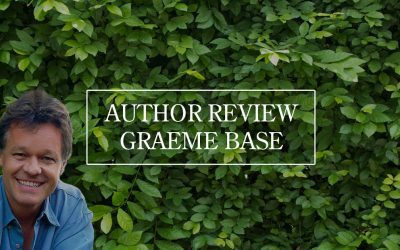 – Having an author or publisher respond to your review within the comments section of your website (which can then encourage further conversation among your readers). At TaleBlade Press we love to hear from reviewers! An unfortunate part of publishing is that you very rarely witness those moments of joy (hopefully it’s joy), when someone experiences your carefully crafted book for the very first time. It would be great (although perhaps a little creepy) if we could somehow watch as our readers crack the spine and immerse themselves in the world within one of our books. We would love to see how they react to the imaginative landscapes, humorous dialogues, inspiring highs and terrifying lows. Unfortunately (or perhaps fortunately), we can’t. This is why we love reviews. It is our window into the mind of our readers. It is our opportunity to explore the stories from a different perspective and see every detail through someone else’s eyes. Finally, every assessment – good or bad – motivates us to continue striving for mastery and remain at our best. If you are already an experienced reviewer, you may be on the lookout for some additional ideas – things that can add some depth or variety to your already carefully crafted reviews. Below is a small list of alternative ideas for those that love sharing books, but want to try something a little bit different. Write a feature article about the book. Write a news article that draws on issues raised in the book. Highlight any competitions associated with the book. Draw your reader’s attention to any book-related activities a publisher has made available. Restrict your review to something small and go into detail with it (like cover design). Rate or review an author’s website. Comment on a book trailer. Create fan art, fan fiction or highlight peculiarities about a particular book. Simply throw out a mention of a book you like on your social media channel. Include the book with others in a broader theme (like books about haunted houses). 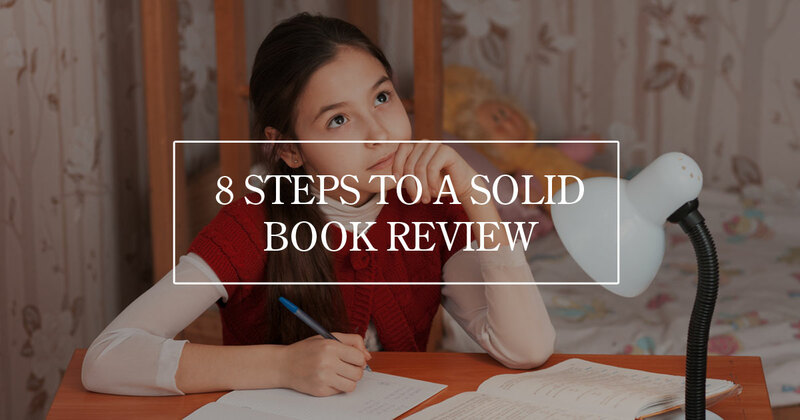 In the end, there are many ways that you can start a conversation about a particular book without going down the familiar path of a book review. Have fun with it. Don’t be afraid to try something different every now and then. It is our hope that this article has provided you with some helpful information about reviewing books. At TaleBlade Press we have a real passion to see books of the highest quality stand front and centre in the literary world – rather than those that have the strongest marketing machines behind them. As a reviewer, you perhaps already stand in one of the most powerful positions to see this change occur. Did you find this article helpful? Would you like a handy reference sheet that touches on its key points? Feel free to use this Reviewer Sheet to assist you in your next review or to help in your consideration of a TaleBlade specific book review.